Tana Frenchis also the author of"In the Woods," "The Likeness," "Faithful Place," "Broken Harbor"and"The Secret Place." Her books have won awards including the Edgar, Anthony, Macavity, and Barry awards, the"Los Angeles Times"Award for Best Mystery/Thriller, and the Irish Book Award for Crime Fiction. She lives in Dublin with her family." "[French] revisits, evocatively and lyrically, themes she's used before: love, loss, memory, murder, and life in modern Ireland. French's writing remains brilliant, and her dialogue is sharp, often lacerating, and sometimes mordantly funny. Faithful Place is her best book yet." "The charming narrative will leave readers begging for a sequel." "Part Raymond Chandler, part Roddy Doyle, crime fiction's rising star takes it into mesmerizing new territory . . . French's hypnotic storytelling remains in full force in this novel . . . 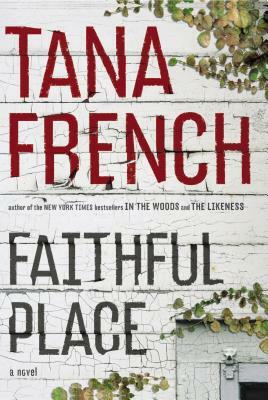 Faithful Place is wrenching to a degree that detective fiction rarely achieves . . . French does something fresh with every novel, each one as powerful as the last but in a very different manner. Perhaps she has superpowers of her own? Whatever the source of her gift, it's only growing more miraculous with every book."